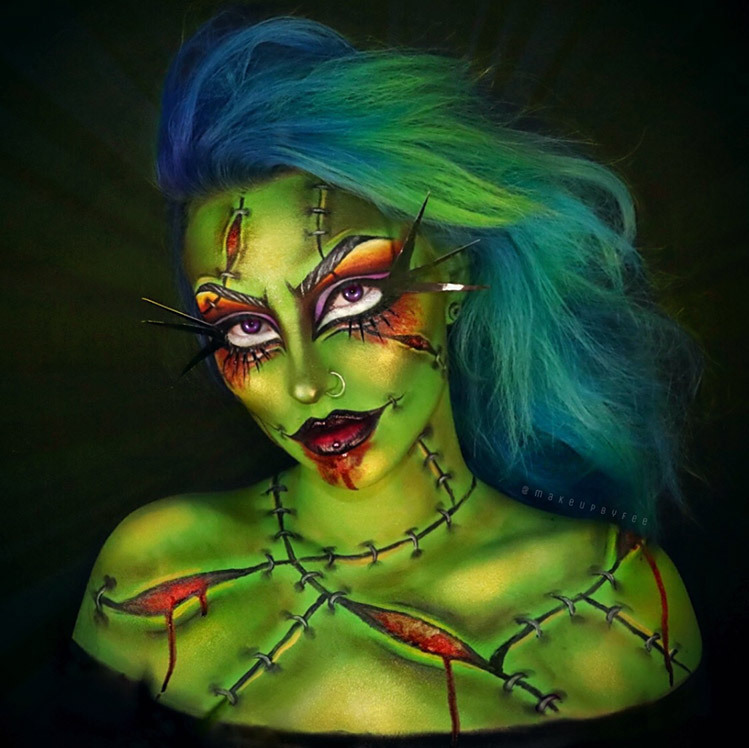 This makeup was inspired by the iconic horror classic "Frankenstein". I fused this timelsss character with a cartoonish punk rock glam. Avant garde artist and body painter. With each creature I strive to creat something no one has seen before. With 10 years in the industry, I'm continuing to try and push the boundaries of makeup.